Central City Development Group is proud to continue their developmental prowess on the successful 1010 Wilshire high-rise multi-use condo with the planning of 1027 Wilshire, the Icon on Wilshire. Years ago, the Central City Development Group along with the Amidi Group floated the idea of a 52-story, 402 unit property for 1027 Wilshire. The idea was not finalized because of the Great Recession of 2008, even though the project got to the status of “shovel-ready” ! 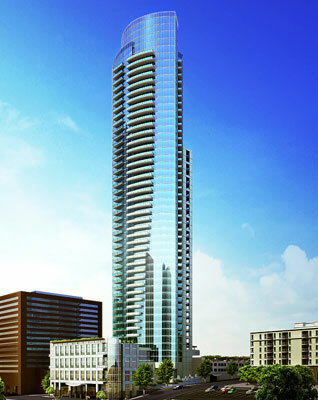 Construction of The Icon on Wilshire, however, will commence in the upcoming months. The structure will span 781,643 square feet (72,617.01 square meters) and contain a total of 376 luxury living and working spaces. There will also be designated spaces for retail shops and corporate offices. The Icon's features will be quite extravagant. It will house a pool, Jacuzzi, steam rooms, saunas and even a special movie and screening room. Outdoor amenities will include fire pits, designated areas for barbecue units, outdoor gaming tables and much more. The building is designated as a “Live / Work Project” and is qualified for EB-5 Investors. The land for the project site is already acquired and has a currently estimated value of around $40 million dollars. Qualification details are as follows. The total project cost is estimated to be around $115 million dollars. Entitlement was received on October 22, 2010. TEA designation was received on October 6, 2011. The terms of a construction loan have been negotiated, resulting in an agreed sum of $83 million dollars. The Icon on Wilshire will have an anticipated completion value of around $225 million dollars. Projected annual revenues will reach an estimated sum of $15.69 million dollars. The Icon's projected profit after completion, stabilization and refinancing is estimated at a healthy $110 million dollars. The Icon on Wilshire adds much needed unit inventory for the area. The successful 1010 Wilshire property is currently operating near full capacity and receives several housing and office space inquiries on a daily basis. The Icon on Wilshire really does qualify as a 1010 Wilshire expansion. The Icon will be constructed directly across the street from 1010 Wilshire and provide several important logistical advantages. It will likely prove essential to the Central City Development Group's push for an ever increasing brand awareness. 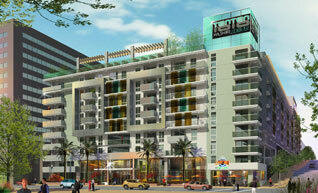 The property is certainly going to generate an abundance of positive attention from the general public. The Icon on Wilshire has an estimated completion date of June, 2016. Central City Development Group is an urban-infill real estate development company providing advisory services to developments with mixed uses on a shared piece of real estate. Learn more about the founder of the company and the development projects CCDG has managed.